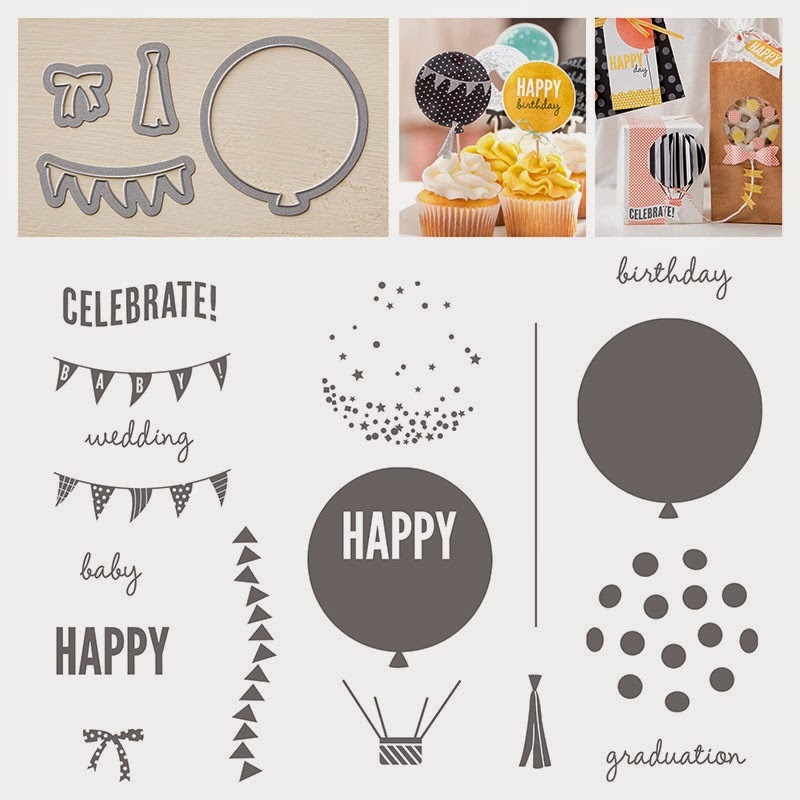 Celebrate Today is a brand new photopolymer stamp set in the Occasions Catalogue and if you purchase the Balloon Framelits Dies as a 'bundle' you save 15% off the total cost. 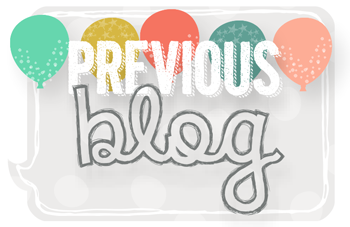 I had a lot of fun inking some of the stamps from this very cute set and using the Birthday Bash Designer Washi Sheets (which are featured on the same page in the catty) to make two projects to share with you today. 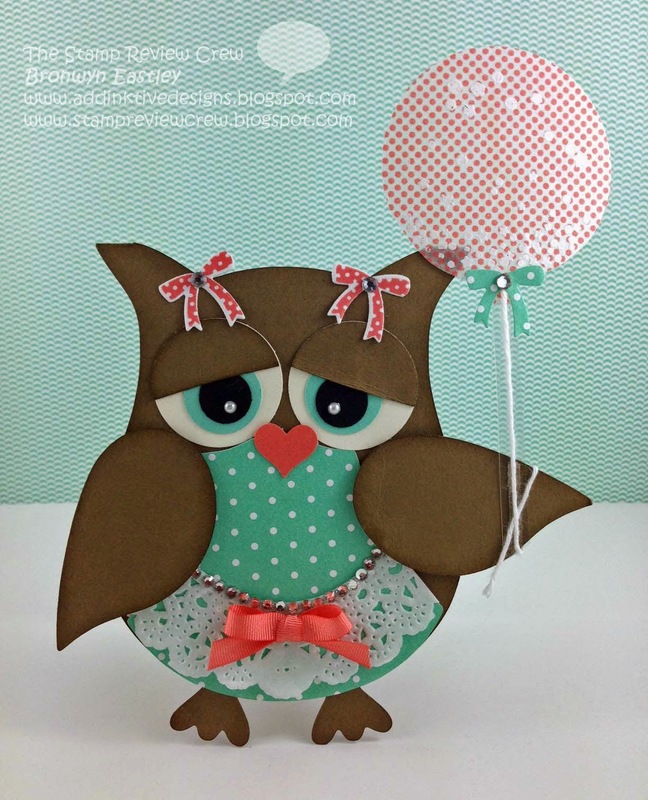 Everyone loves their owl punch and I absolutely love the MDS (My Digital Studio) version that you can download and combine with an e-cutter to make lots of different, quirky, owl characters. I added MDS bird punch wings for the first time to hold the party balloon. 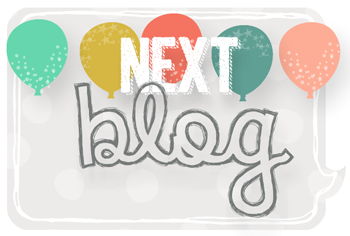 To make the balloon, I stamped the stars and circle stamp with Versa Mark Ink onto some washi sheet and heat embossed with white embossing powder. The washi was then stuck to a small piece of Window Sheet (acetate) and cut out with the Balloon Framelit with the Big Shot machine. The White Baker's Twine was attached to a thin strip of acetate with some Sticky Strip and wrapped around the owl's wing. 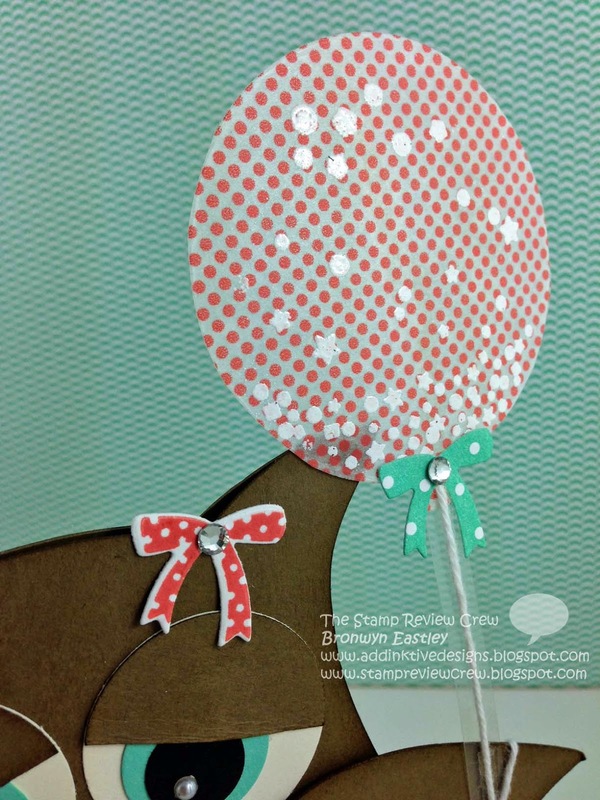 A little Glue Dot was used to stick the balloon to the ear to make it stand upright without folding over. 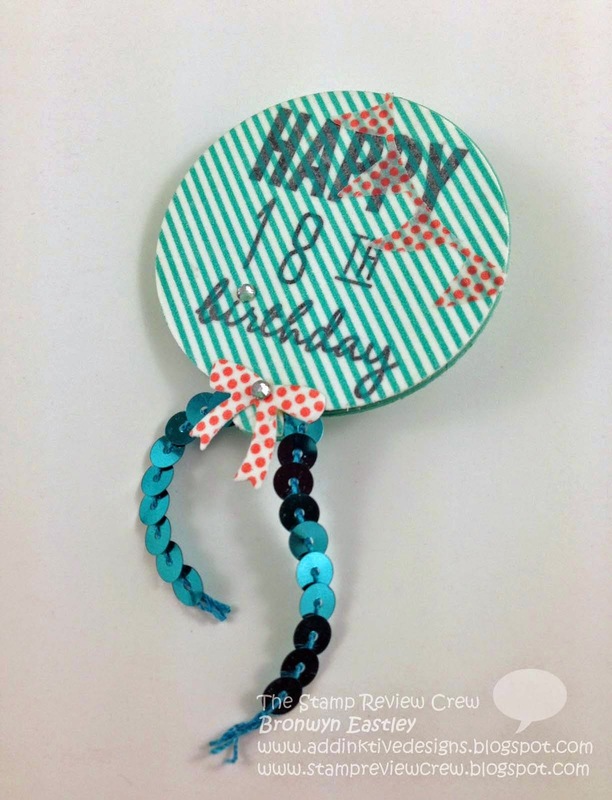 This birthday badge is made by gluing several layers of balloons together, cut from Coastal Cabana Card stock using the Balloon Framelit Die. The sentiment was stamped with black ink on Whisper White Card stock covered with some Birthday Bash Designer Washi Sheet. A badge pin was adhered to the back of the badge with some Crystal Effects. The '18th' is actually from the PL Day to Day Stamp Set. I think the rest is fairly self explanatory. Thanks for hopping along to see The Stamp Review Crew Celebrate Today! Absolutely adorable owl! I love the doily skirt and the bows on the ears. The way you have her holding the balloon is fantastic! What a birthday card to receive and along with the pin she's set to turn 18! Well that owl is downright adorable! Love those little bows - perfect accessories! Fun projects! So clever! That owl is just amazing...so many details and they call come together beautifully! Oh, my, gosh!!! That owl card is adorable! I love that you were able to use MDS and your e-cutter to do this. 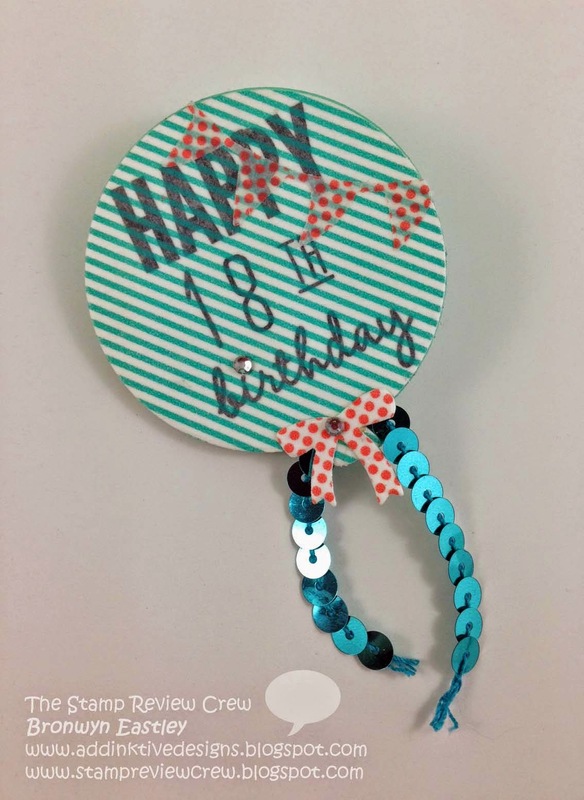 Your Washi sheet balloon is so clever too. Here I thought I didn't need the Washi sheets, lol! 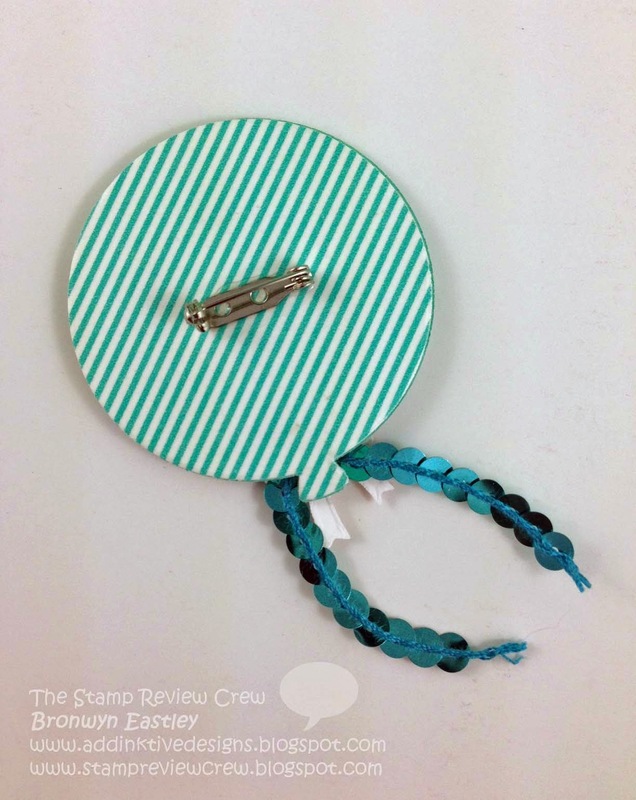 Gorgeous, creative, projects Bron; I love how you've used these adorable new products. How cute is that!!!!!! I love it!! I love the pin too that is way too fun! Oh my goodness, Bronwyn, that owl is fantastic!! What a brilliant idea! 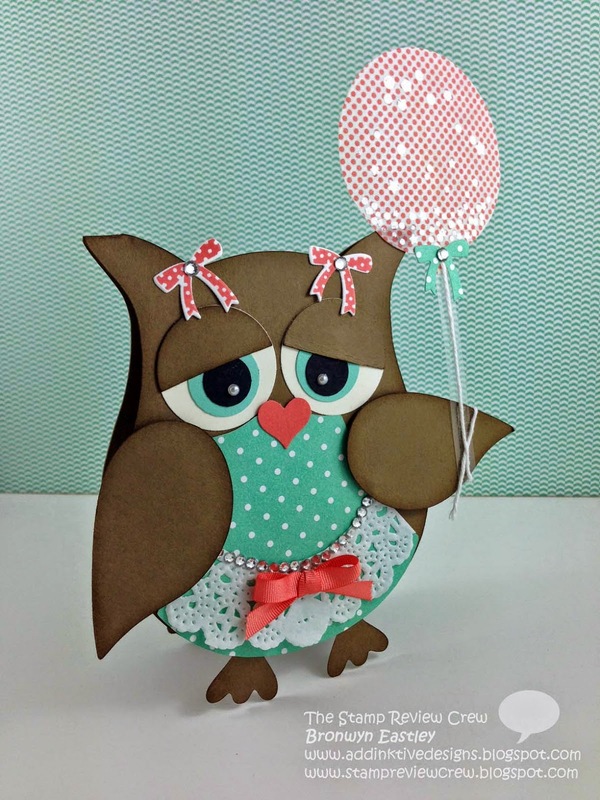 What a wonderful card...love that little owl girl and all of the elements that you put on her...the apron is fabulous! Great birthday badge! Cute 3D projects. Really nice to see something other than a card! Very clever! ADORABLE! 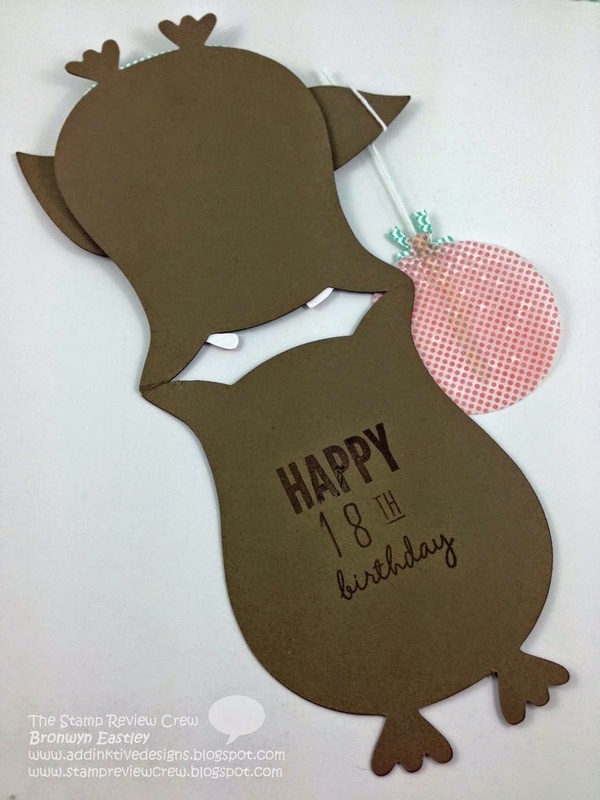 I love how you created the balloon with an acetate sheet and the washi sheet! Thanks for sharing!